Do you want to bring out the true beauty of your landscape, add an additional layer of security, and also boost the value of your home or business? It seems unlikely that you can accomplish that with just one service, but an outdoor lighting installation from Vision Green Landscape can provide all of that and more at a great value. 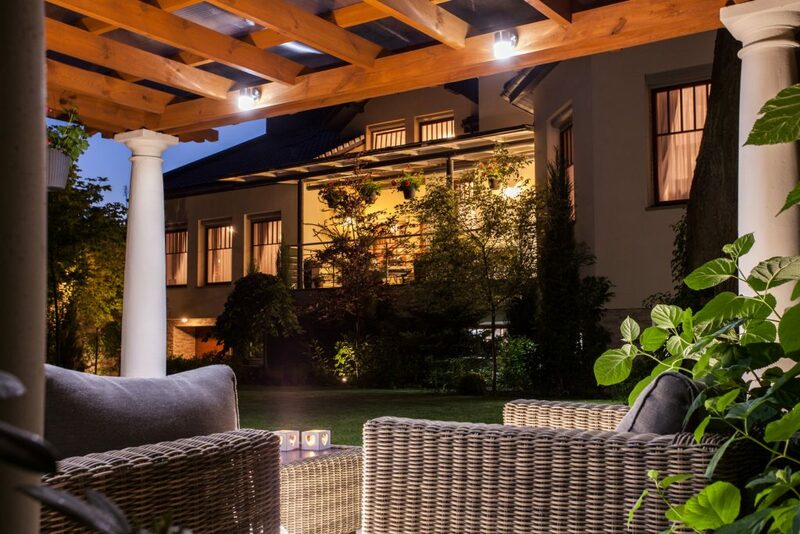 We are Charlotte’s premier outdoor lighting experts, and our services can enhance the natural aesthetics of your landscape to reach its maximum potential. Here at Vision Green Landscape, we analyze each property individually and thoroughly to cast light on its best qualities. We strategically place outdoor lighting for enhanced safety, performance, and aesthetics. We consider each walkway, pond, patio, pool, deck, staircase, and any other outdoor feature in our final customized blueprint for your residence or business. When the sun goes down, your property shines its brightest, and the landscape becomes a work of art. No matter what final result you’re looking for, our outdoor lighting system can accomplish it. Whether you’re looking to create a professional, profound look for your home or business, create a safer environment for your family after dark, accent a piece of architecture, or give your home a more relaxed feel, we can help. 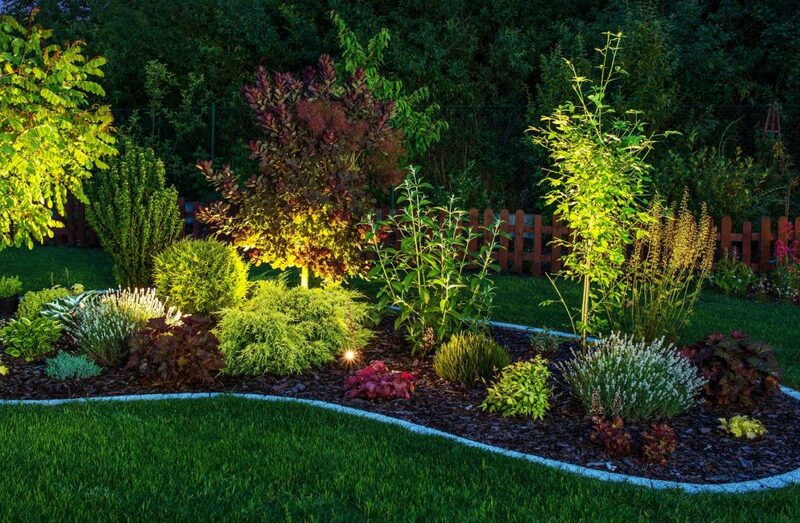 We use high-quality products to ensure your landscape not only looks incredible, but also minimizes energy costs and maximizes the life of your bulbs and lighting products. Our outdoor lighting isn’t just beautiful—it’s functional. By accenting walkways, stairs, and any other potential danger on your property, you help your guests and family to navigate safely around your yard. Furthermore, maintaining a well-lit property is one of the best ways to deter potential criminals. We will perform a full analysis to determine the areas of your property most in need of security lighting. We have a team of expert lighting technicians who use their knowledge and experience to maximize the aesthetics of your property. They use their skill to ensure that your lawn isn’t disturbed. Our top-of-the-industry installation technique allows us to place lighting fixtures without digging soil above the surface. In addition, you discuss all of your needs and expectations with our design team to ensure that our customized installation fits your personality and your home. Vision Green Landscape is dedicated to giving you the best landscaping experience possible at a great value. Contact us and we’ll give you nothing less.